Once in a while, it feels good to give back to the community. That's why when Habitat for Humanity asked us bloggers to be Online Champions, I delightfully accepted to be part of the group. This year, I was even more excited to be part of something greater - The World Habitat Day - by building decent homes for Filipino families. 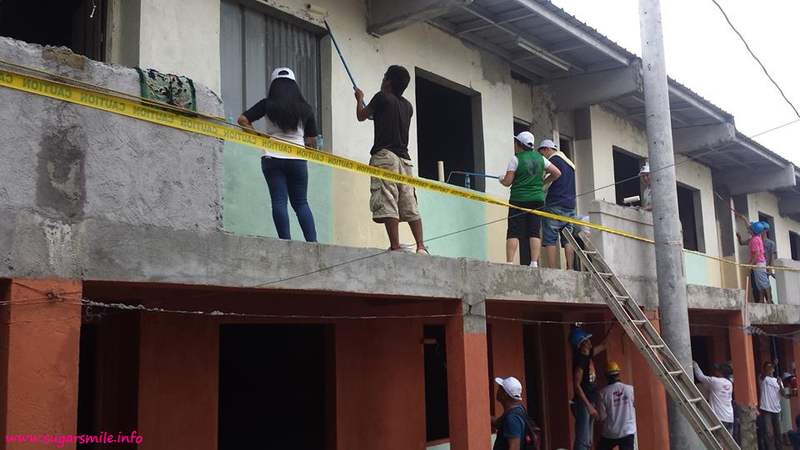 Last Saturday, October 4, we went to Bistekville 1, Payatas, Quezon City to help paint the houses that would be part of the future settlement of a particular community. It was a fun and humbling way to spend my morning because it is something useful and something that can change someone's life. After all, isn't shelter one of our most basic need? Joining Habitat for Humanity Build is something we should consider as part of our philanthropy. And it is something to be done now. Together with the United Nations, Habitat for Humanity aims to raise awareness and consciousness on the importance of having a robust shelter and communities taking part in their share of a happy, healthy and productive surrounding. Thus, they took action by observing the World Habitat Day. And this October 6, we are joining this worldwide event that aims to make a call for new and innovative programs, policies and systems that would make our world a decent place to live for people of all walks of life – regardless of race or religion. During the Habitat Build last Saturday, I felt that we did not just helped build homes, I believe that we also helped providing security to our fellow Filipinos and a brighter future for those who will settle there. Aside from building houses, a sports clinic led by athlete Chris Tiu were also held for the kids who wants to be good in basketball. He was hands on with the kids, with the conscious effort that these children might be the next basketball players of the next generation. After our hearty lunch, we also went to the different houses and learned about their history, and how they are doing now in Bistekville. It is quite delightful to know that their lives have improved, knowing that they have a steady shelter and livelihood programs that they can participate in. It is never too early or too late to build homes or a community. If we start now, we can hope for a better future for the generations to come. 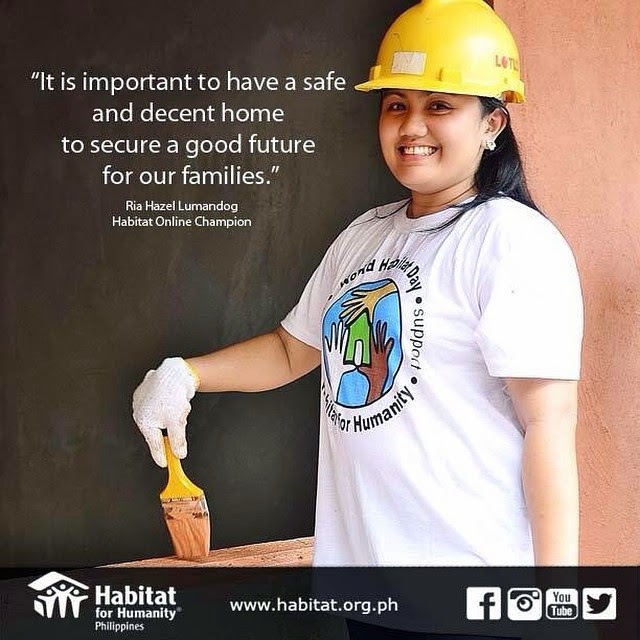 To join this meaningful cause, you can visit the Habitat for Humanity website at www.habitat.org.ph or www.facebook.com/habitatphilippines.